Pioneers in the industry, we offer ek mukhi sawar rudraksha and trijuti rudraksha from India. We are offering Ek Mukhi Sawar Rudraksha to our client. 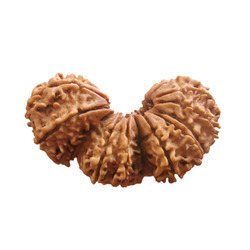 Standard quality of Ek Mukhi Sawar Rudraksha is offered by us at market leading cost. The high grade and pure Ek Mukhi Rudraksha is used in its manufacturing under the supervision of quality controllers. 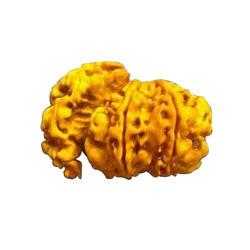 This Ek Mukhi Rudraksha is designed by the experienced professionals who understand the needs and requirements of the clients and manufacture bit according to them. Three naturally joined Trijuti Rudraksha is a rare phenomenon. Trijuti Rudraksha bead is a combination of three naturally joined rudraksha beads. This is a very rare phenomenon and is symbolic of the Trinity (Lord Brahma, Vishnu and Mahesh). It endows the possessor with wealth, health, knowledge, confidence and other immense powers. Those who holds or worship this rudraksha is said to receive Bramha Gyan. This bead is also referred to as “Tribhagi” or “Gauri Paath”. Trijuti rudraksha is a very rare and costly bead and normally kept in the puja room and worshiped. These beads are said to cure Diseases of all sorts in the body internally as well as externally and benefits the wearer with good health.